Ron has been a long term supporter of the Calgary running community. 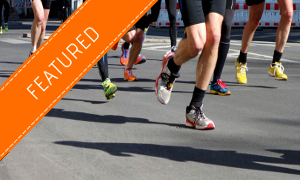 For many years as an active CRR member, he volunteered in various aspects of the club activities including the Calgary Marathon. 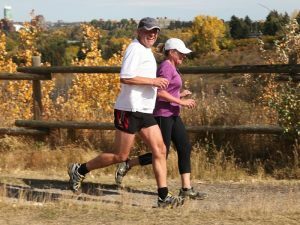 In 2001, with his friend, Sid VanderZwaag, Ron convinced the Calgary Roadrunners to support the first Harvest Half Marathon which has been run each October since in Fish Creek Park and has become increasingly popular with the running community. While Ron and Sid were the primary organizers, Ron’s wife, Lou more recently joined the Race Committee as Race Director. For anyone wishing to support Ron’s recovery, the family has opened an account at the local Royal Bank. The name on the account where donations can be made is “Ron’s Road to Recovery”. Transit # 02319, Account # 102-525-3. On behalf of the Calgary Roadrunners, we offer our deepest sympathy at Lou’s passing and pray for Ron’s safe recovery.